ON THE 14 AUGUST 2017 TWIN FLASHFLOODS AND MUDSLIDE DISASTERS OCCURRED AT REGENT AND AT OTHER SETTLEMENTS IN THE OUTSKIRTS OF FREETOWN, RESULTING IN THE DEATHS OF HUNDREDS OF OUR COMPATRIOTS, WITH SCORES OF OTHERS REPORTEDLY STILL BURIED IN THE RUBBLE. THIS TRAGEDY HAS ALSO RESULTED IN LOSS OF PROPERTY WORTH BILLIONS OF LEONES, AND THE DISPLACEMENT OF HUNDREDS OF SIERRA LEONEANS. 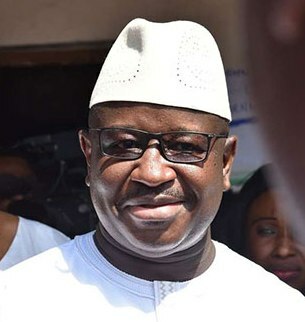 GRASSROOTS ACTION FOR NATIONAL DEVELOPMENT – GRAND SIERRA LEONE – HEREBY EXPRESSES ITS SYMPATHY TO THE VICTIMS AND EXTENDS PROFOUND CONDOLENCES TO THE BEREAVED FAMILIES. IT IS OUR HOPE THAT THE ONGOING RECOVERY PROCESS WILL RESULT IN THE RECOVERY OF MORE SURVIVORS. WHILST GRAND COMMENDS THE COURAGEOUSNESS OF THE SURVIVORS, AND APPLAUDS RESCUE EFFORTS OF GOVERNMENT AND OTHER AID AGENCIES, COMMUNITY GROUPS AND INDIVIDUALS, THE REGISTRATION OF SURVIVORS, THE ORGANISATION FURTHER CALLS FOR AN INTENSIFICATION OF THE RESCUE EFFORTS AND THE INCEPTION OF A SWIFT AND STRATEGIC RESPONSE FOR THE PREVENTION OF COMMUNICABLE DISEASES, INCLUDING CHOLERA AND THYPHOID THAT OFTEN ACCOMPANY SUCH NATURAL DISASTERS. IN ADDITION TO THE LOSS OF LIFE AND PROPERTY, GRAND RECOGNISES THE FACT THAT OUR BROTHERS, SISTERS, FATHERS AND MOTHERS, CHILDREN AND ALL CATEGORIES OF AFFECTED PEOPLE ARE DEEPLY TRAUMATISED AND POSSIBLY EXPERIENCING POST-TRAUMATIC STRESS DISORDER. IT IS TO THIS END THAT GRAND HEREBY PLEDGES RELIEF THAT WILL BE DIRECTED TO THE VICTIMS, WHILST AT THE SAME TIME CALLING ON ALL SIERRA LEONANS BOTH AT HOME AND ABROAD, FRIENDS OF SIERRA LEONE AND THE INTERNATIONAL COMMUNITY TO COME TO THE AID OF THE PEOPLE WHO ARE IN A VULNERABLE STATE, AS A RESULT OF THE DISPLACEMENT CAUSED BY THE DISASTERS. GRAND AS A NON-PROFIT HUMANITARIAN ORGANISATION IS ALIVE TO THE FACT THAT DUE TO THE UNFORTUNATE AND SAD NATURE OF THE CURRENT EVENTS, FOCUS SHOULD BE ON THE VICTIMS AND SURVIVORS AND NOT ON BLAME APPORTIONING. HOWEVER, WE ARE OF THE STRONG VIEW THAT A CALAMITY OF THIS MAGNITUDE DESERVES THOROUGH INVESTIGATION, NOT LEAST TO ASCERTAIN THE CAUSES THAT MAY HAVE LED TO THE DEATH OF HUNDREDS OF INNOCENT AND UNSUSPECTING SIERRA LEONEANS AND THE UNQUANTIFIABLE LOSS OF PROPERTIES. INSPECT ALL POTABLE WATER AROUND THE AFFECTED AREAS TO ENSURE THE PREVENTION OF WATER-BORNE DISEASES. CONSIDER THE LONG TERM PLAN OF MOVING THE CAPITAL FROM ITS PRESENT LOCATION TO A NEW LOCATION WITH ACCOMPANYING PLANNING AND ZONING POLICIES TO ADDRESS CONGESTION AND IMPROPER USE OF LAND AND THE ACUTE COMPETITION FOR BASIC SOCIAL AMENITIES. 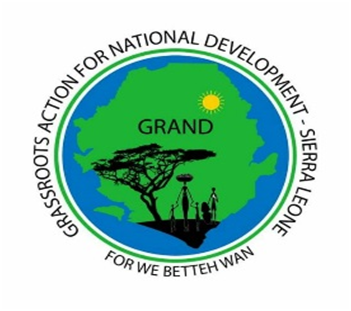 Grassroots Action for National Development (GRAND), is a non-profit, humanitarian organisation whose membership is open to all Sierra Leoneans. To undertake humanitarian and developmental projects and activities, specifically targeting the underprivileged, vulnerable and marginalised in our society, particularly women and children. To promote and support good governance and the rule of law through advocacy, constructive criticism and awareness raising interventions. To act as a pressure group to ensure accountability of government, government functionaries and other public servants. Dr. Rowland Cole (Founder/Legal Adviser, Botswana/South Sudan; Tel: 00211954801434; Email: rjvcole@yahoo.co.uk ). Office Address: 24 ECOWAS Street, Freetown, Sierra Leone.